An original adventure tying in to the ninth season of Doctor Who, the spectacular hit series from BBC Television, featuring the new 12th Doctor as played by Peter Capaldi. The Phaeron disappeared from the universe over a million years ago. They travelled among the stars using roads made from time and space, but left only relics behind. But what actually happened to the Phaeron? Some believe they were they eradicated by a superior force… Others claim they destroyed themselves. Or were they in fact the victims of an even more hideous fate? In the far future, humans discover the location of the last Phaeron road – and the Doctor and Clara join the mission to see where the road leads. 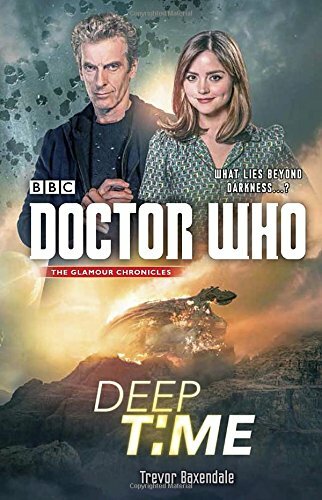 Each member of the research team knows exactly what they’re looking for – but only the Doctor knows exactly what they’ll find.